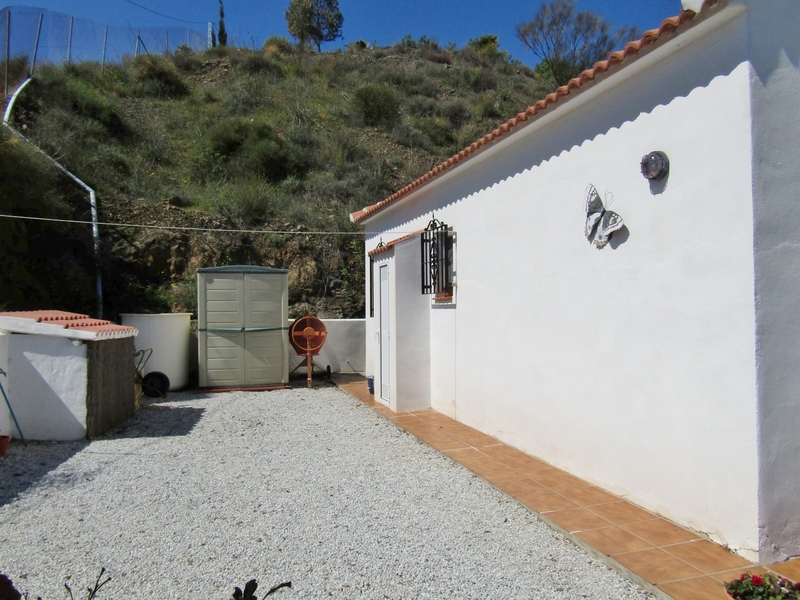 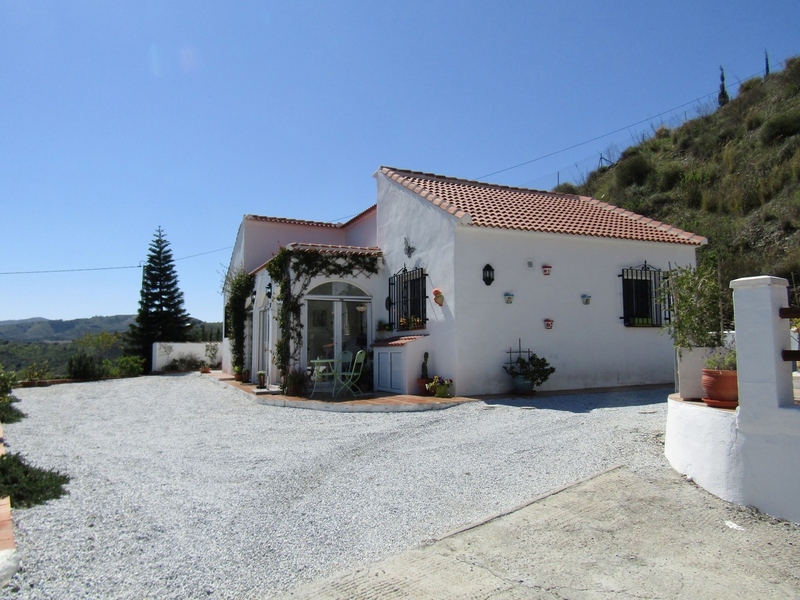 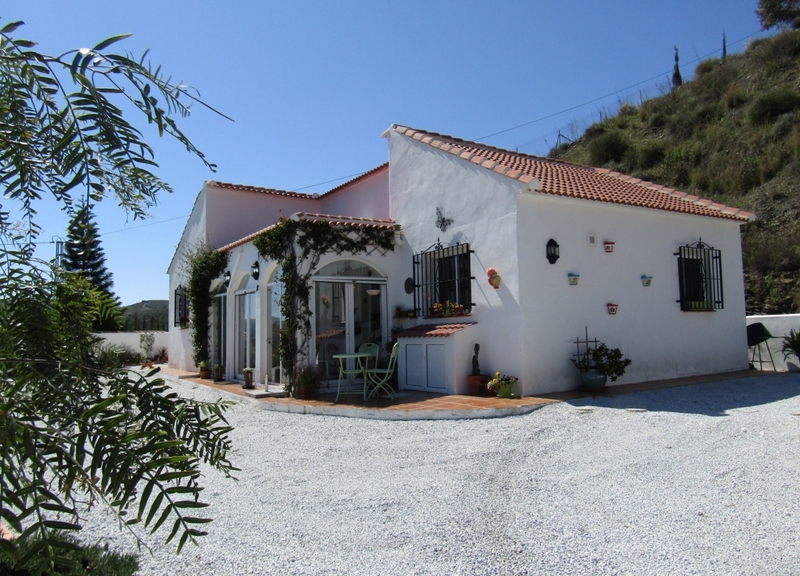 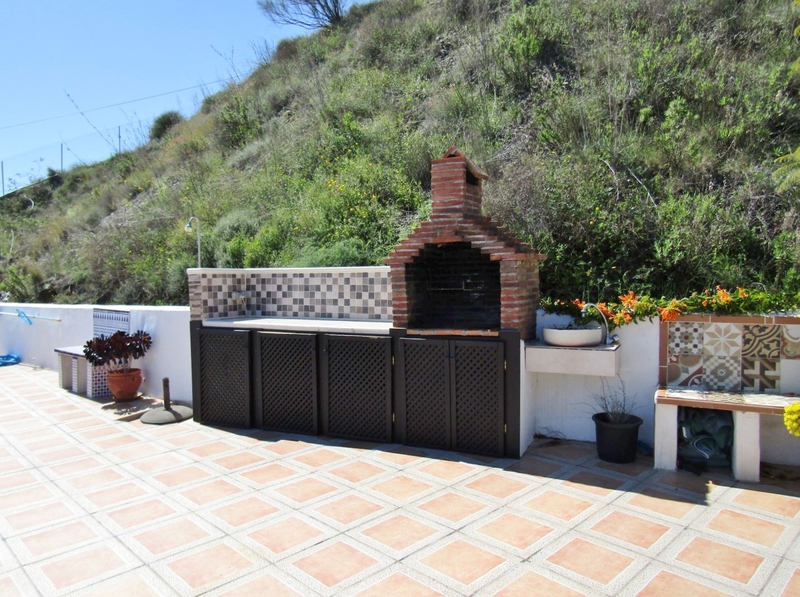 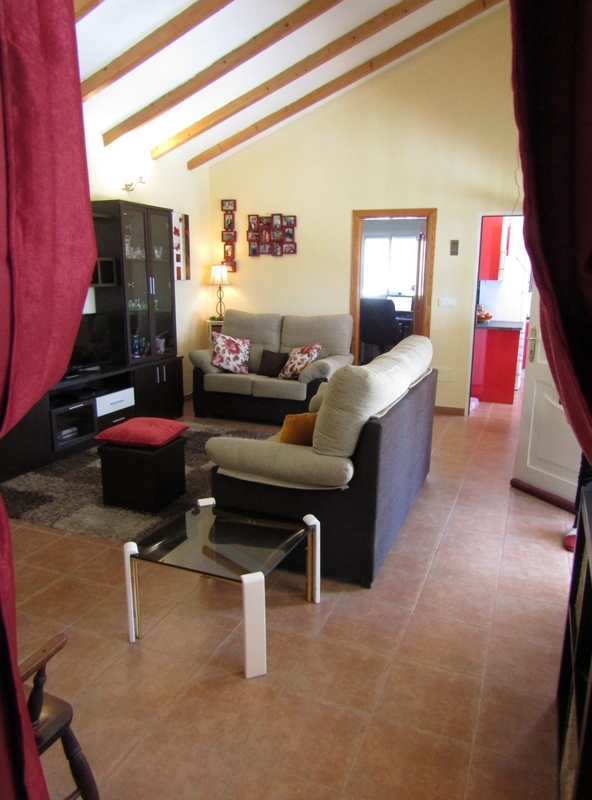 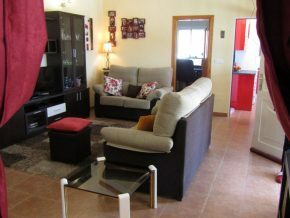 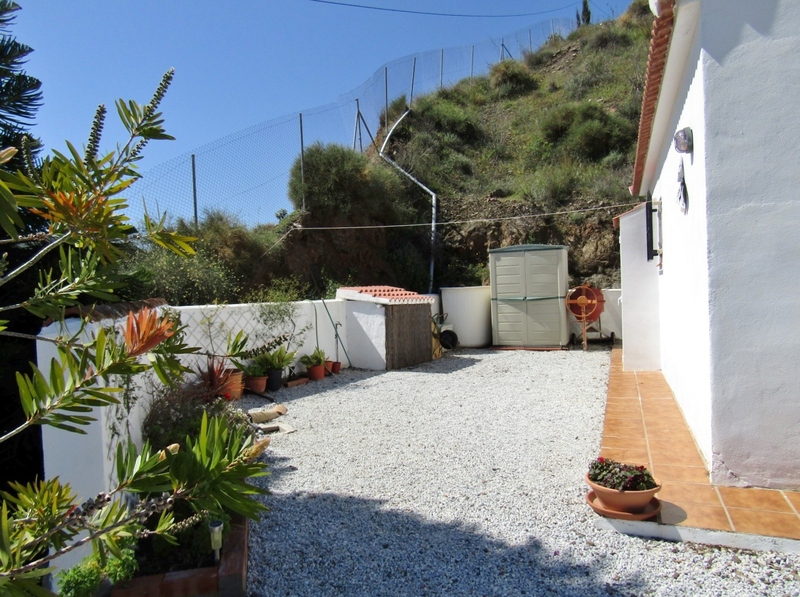 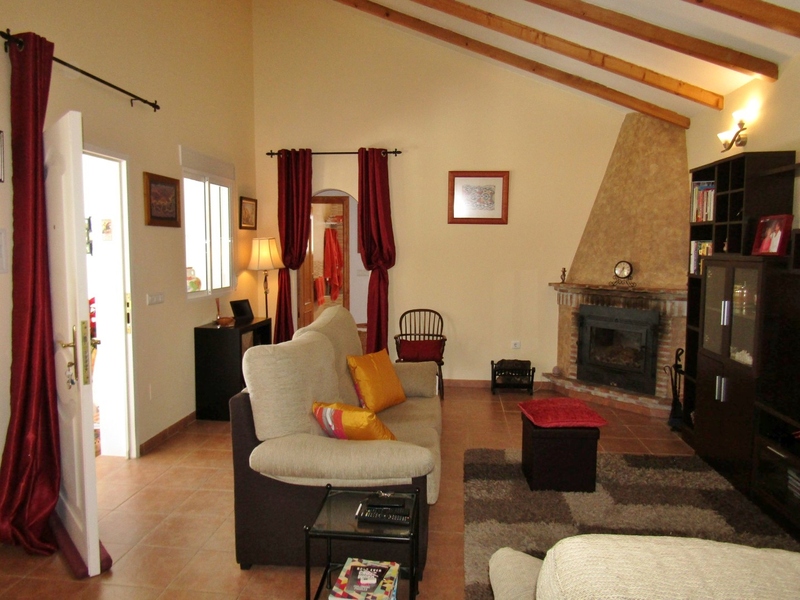 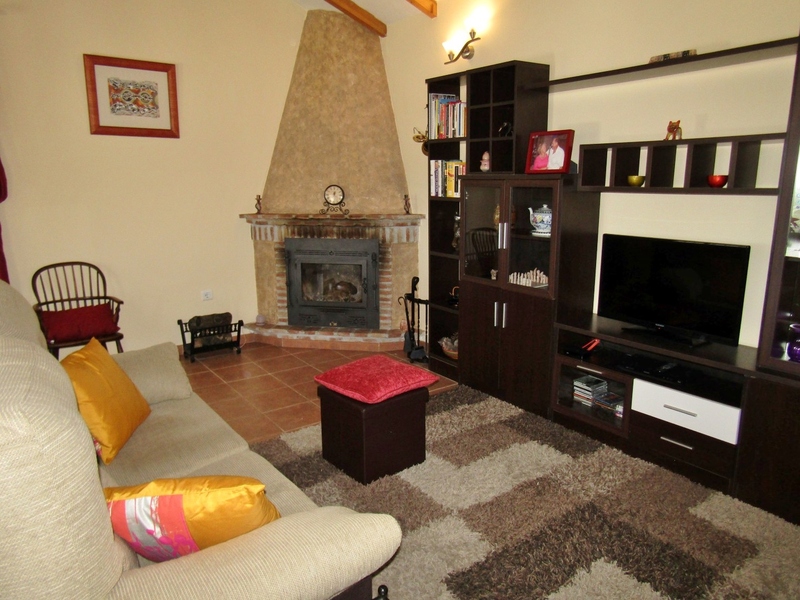 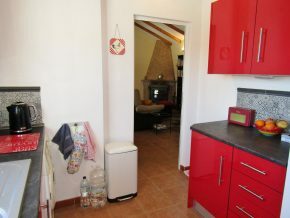 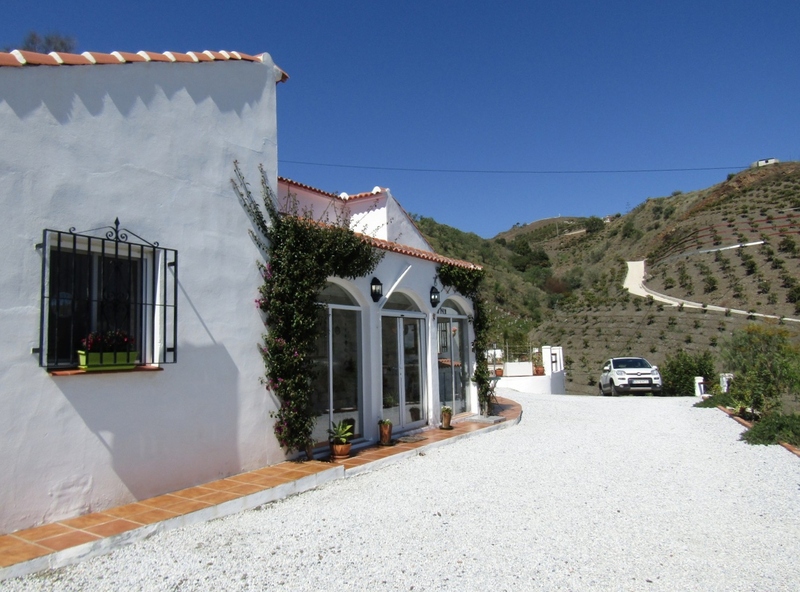 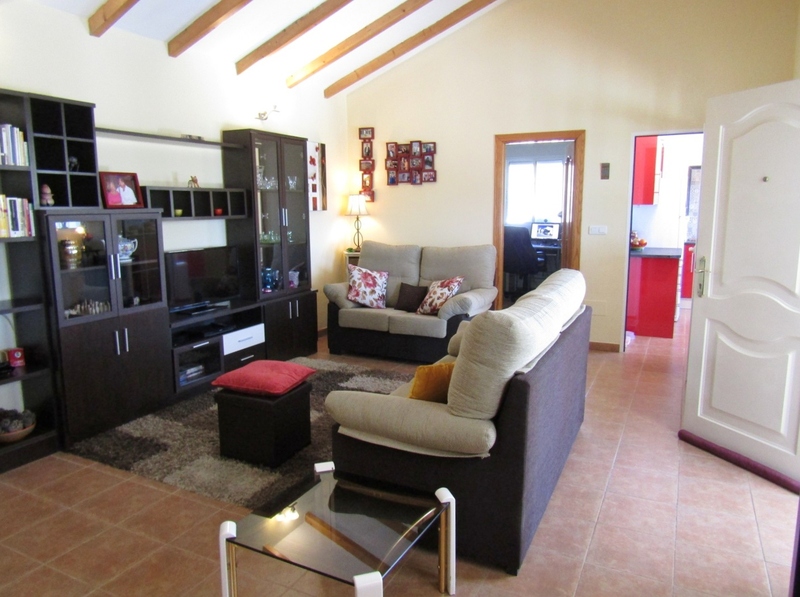 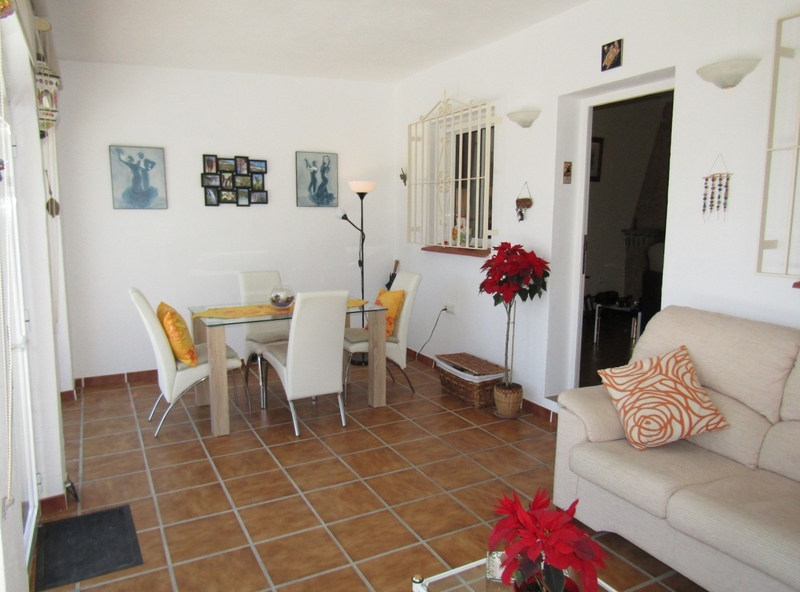 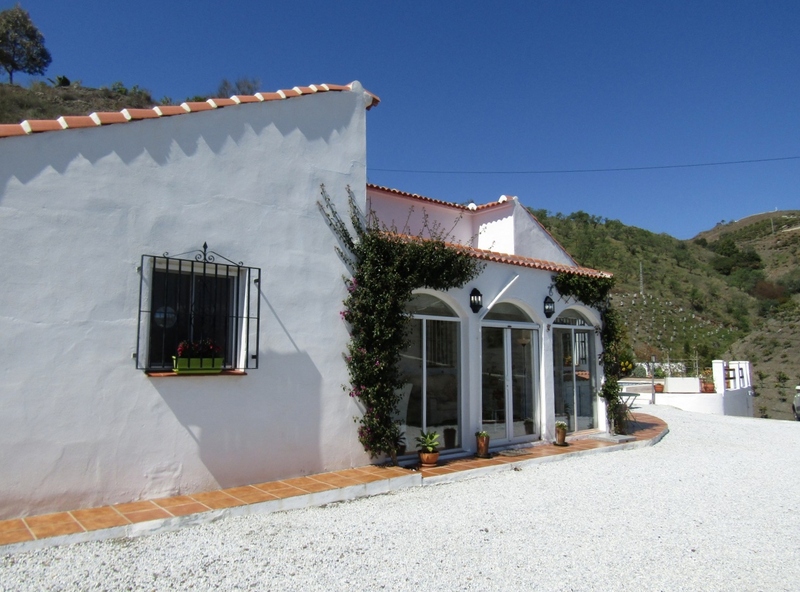 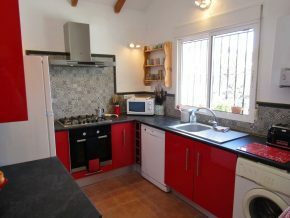 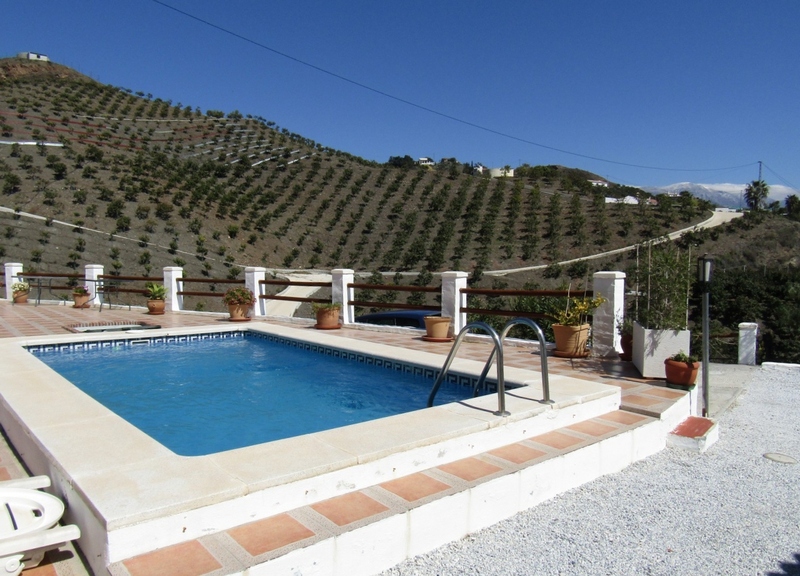 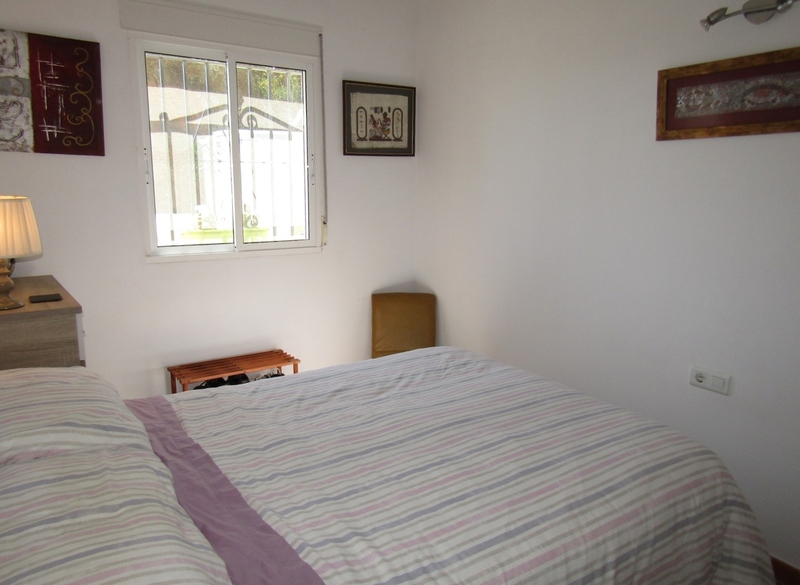 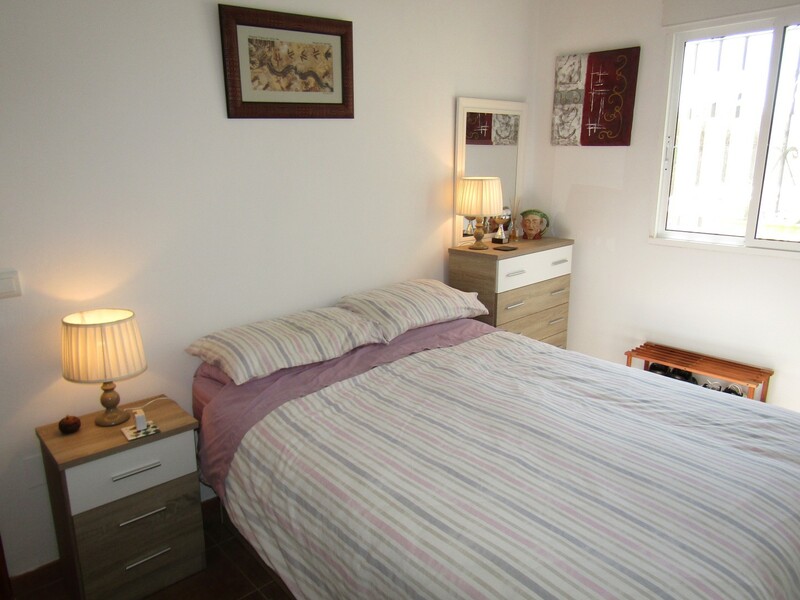 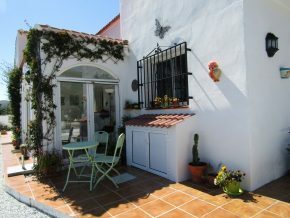 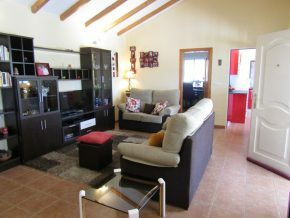 Situated just 3 Kms from the picturesque village of Almachar, in the lower hills of Eastern Malaga province, this lovely house 111m2) has an easy access concrete drive only 170m off the quiet road leading to the villages of Almachar and El Borge. 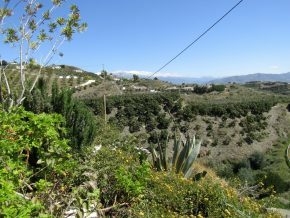 The property consists of 3000m2 of land, of which around 500m2 is a single, level area on which the house, gardens and pool terrace are located. The rest of the land is mainly sloping down towards the track and the road. 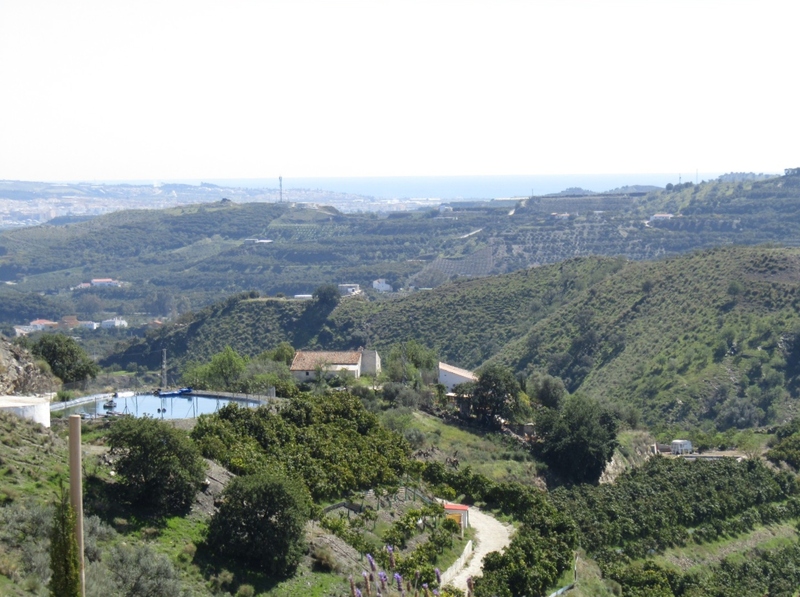 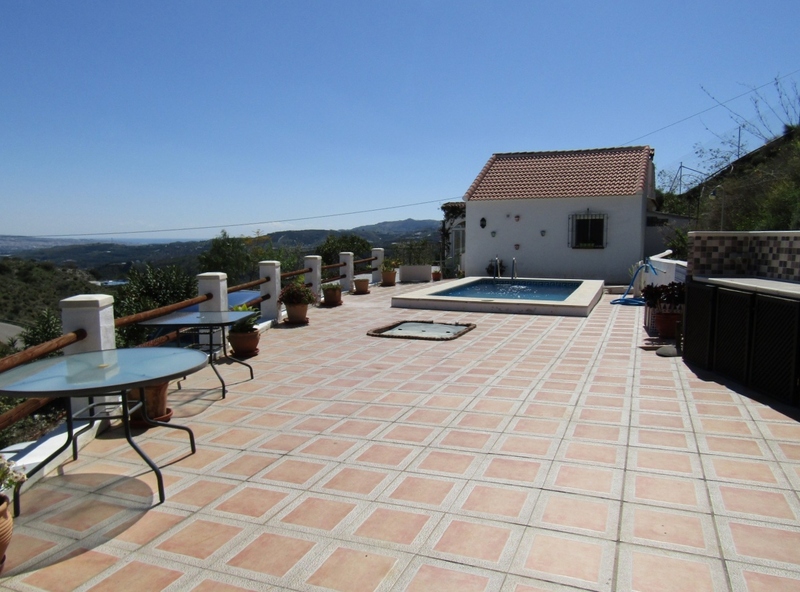 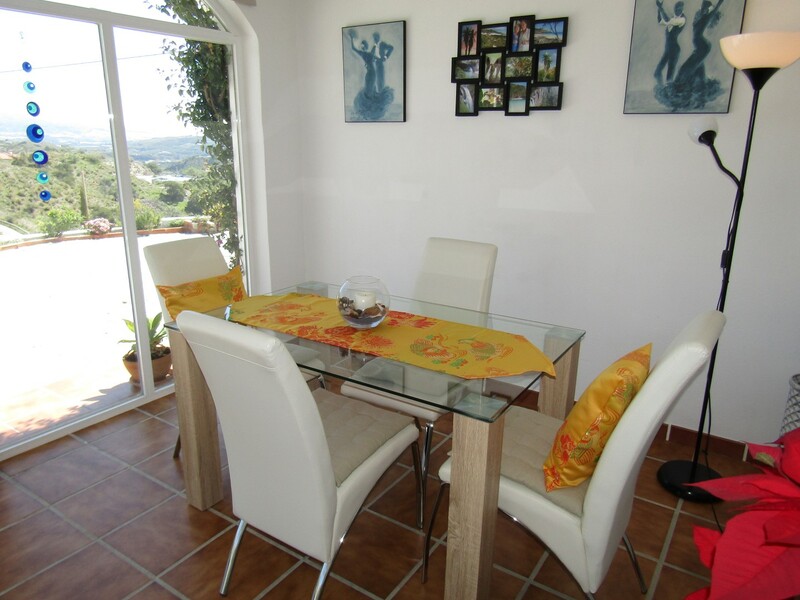 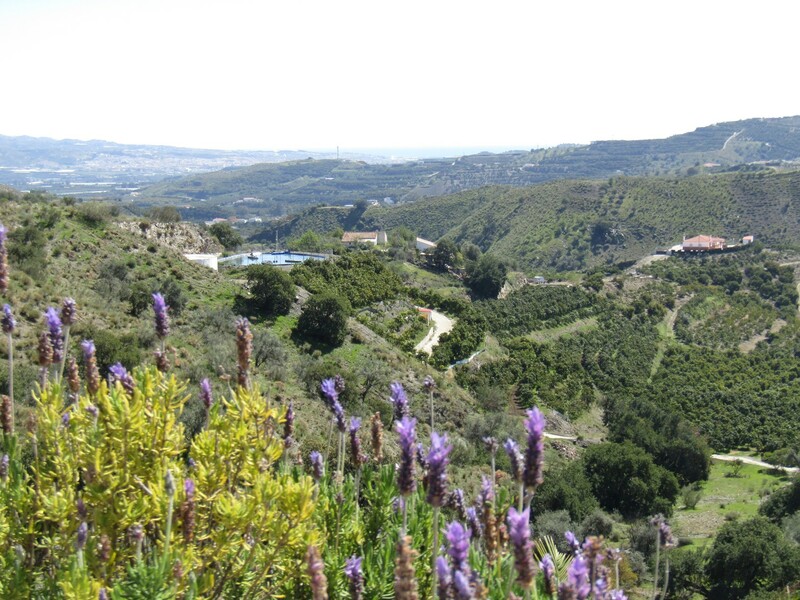 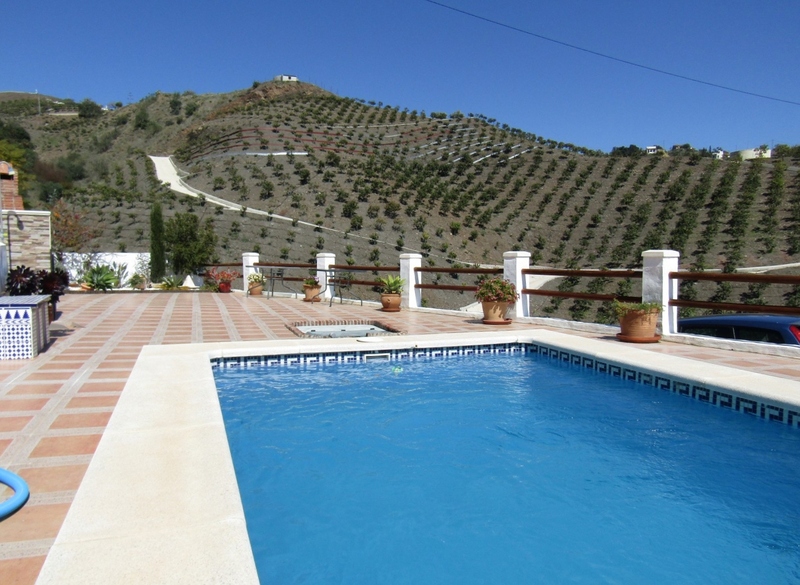 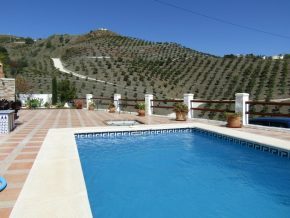 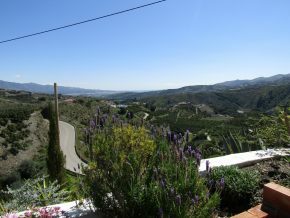 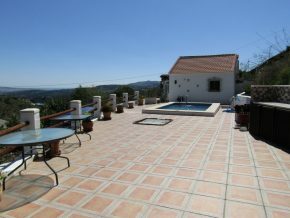 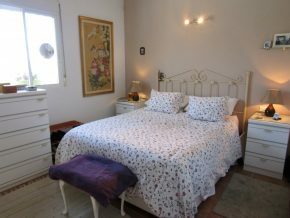 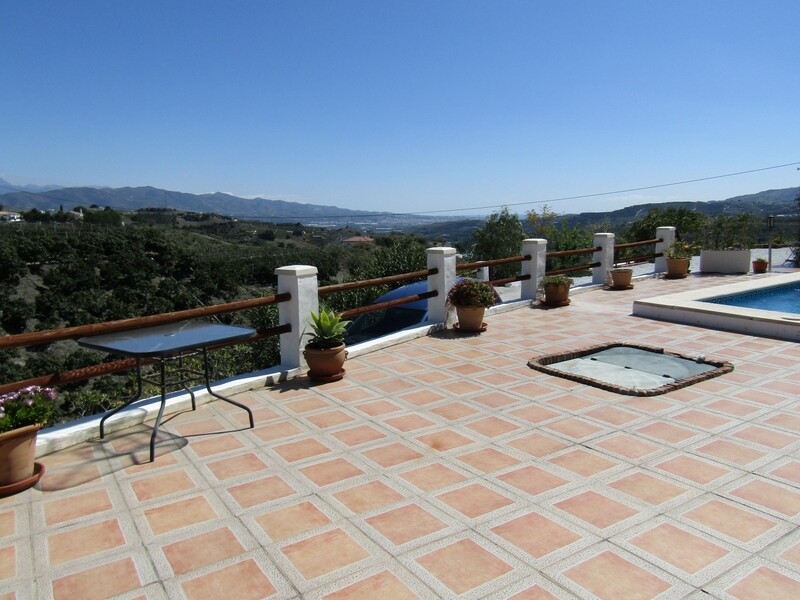 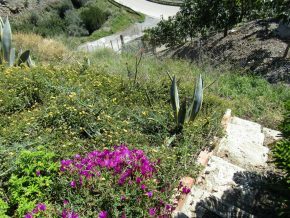 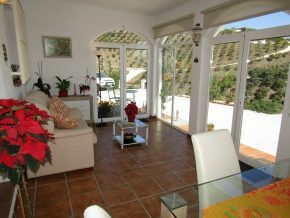 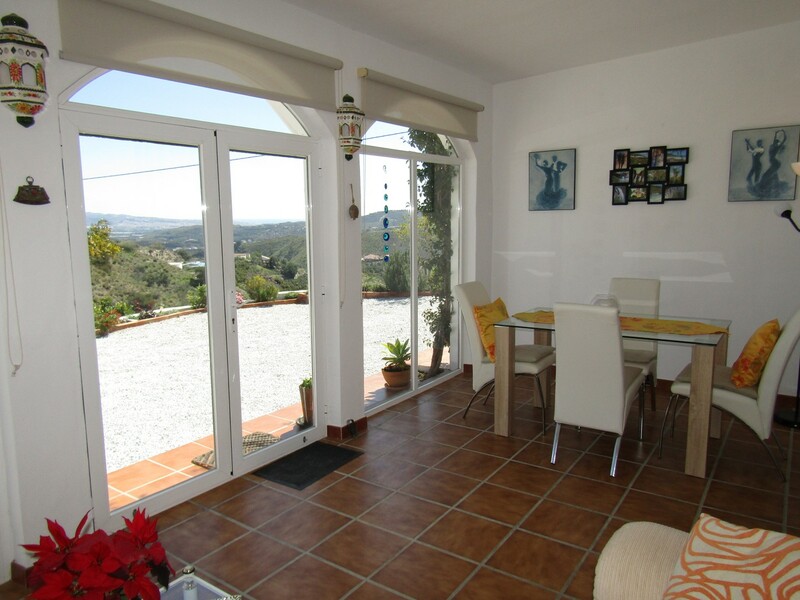 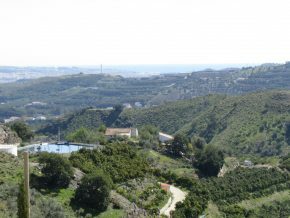 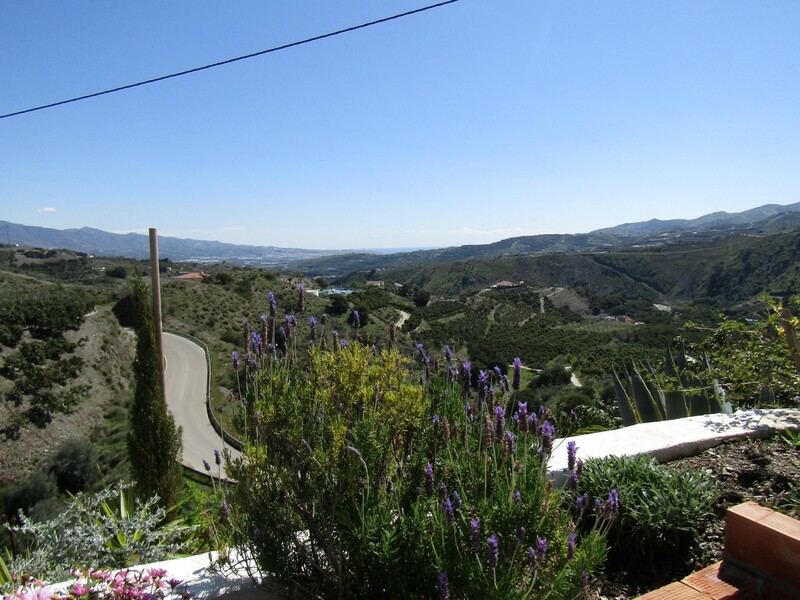 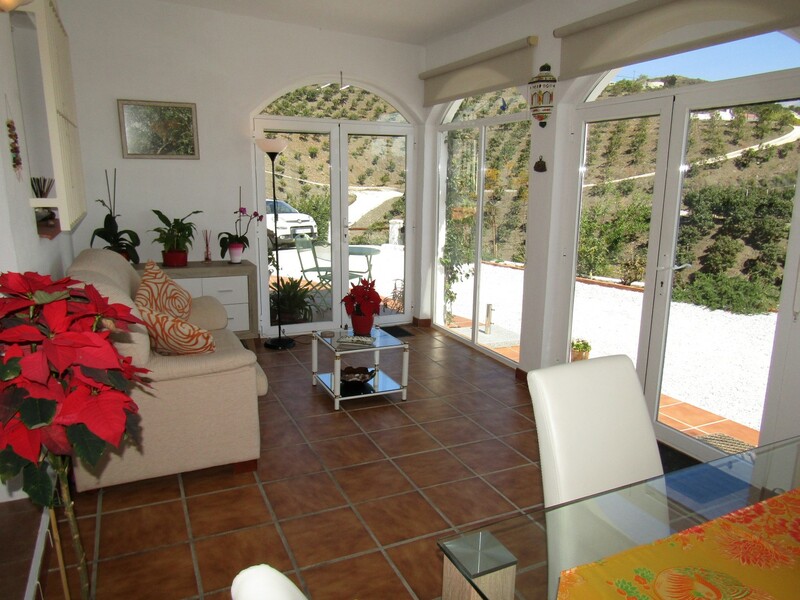 This lovely location has wonderful views over the mango tree plantations all around, in this tropical fruit-growing area of Malaga province, aswell as views to the Sierra de Tejeda and Almijara mountain ranges, and out toward Velez-Malaga and the Mediterranean Sea, glittering in the distance. 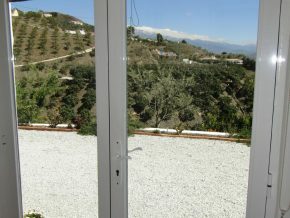 The immediate gardens are laid mainly to easy-maintenance gravel, with pretty flowering borders, and a South facing side terrace to the far end. The pool terrace is fully paved with an outdoor kitchen and barbecue area, with a 5 x 3m swimming pool. 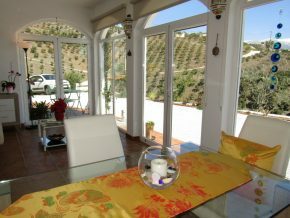 The house consists of a large ‘sun’ room, used as an extra living and dining room, with lovely views, and the glass doors keep the warmth in the Winter, and can be opened out in the summer (5.8 x 3m). 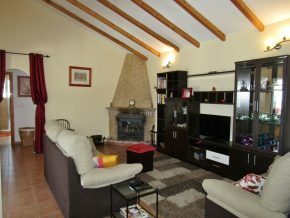 From here is access to the inner living room (5.8 x 4.3m), a homely room, with a traditional wood burner and high, sloping ceilings with pine beams. 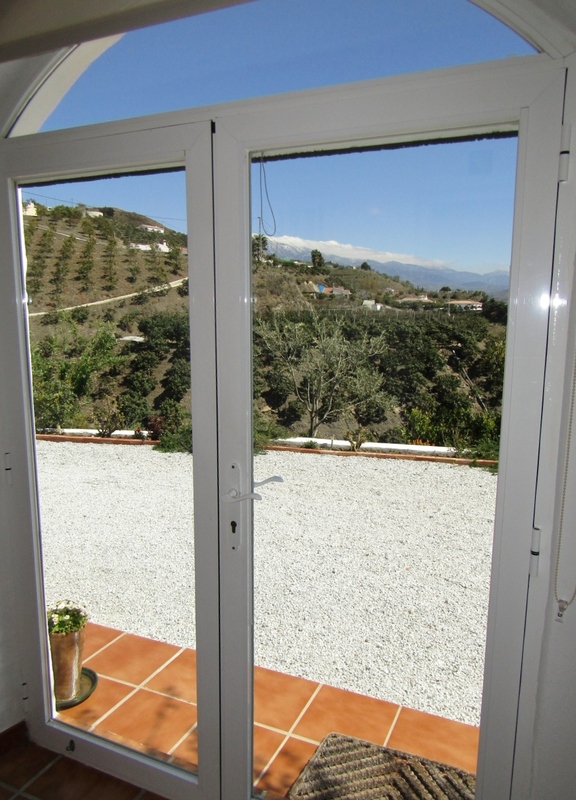 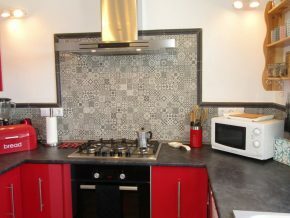 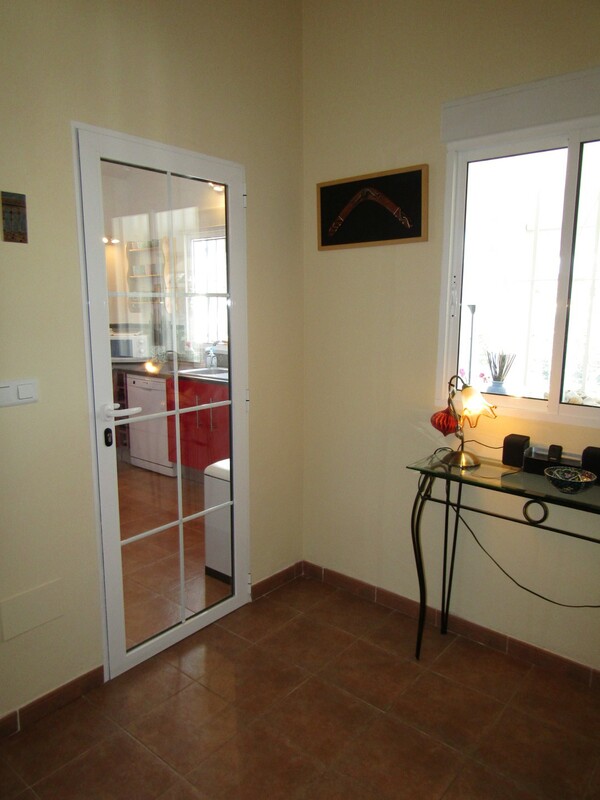 To the right, a glass panel door leads into the fully fitted kitchen (2.5 x 3.2m) with window to the front. 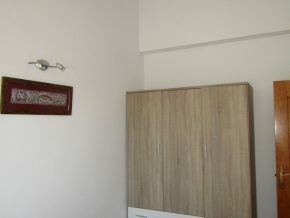 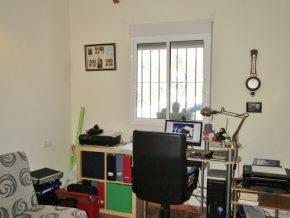 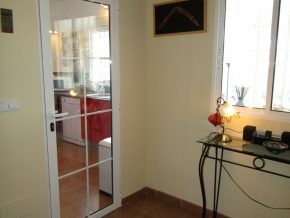 Next to the kitchen, accessed to the rear right of the living room is the third bedroom, (3.2 x 3.1m) currently used as an office. 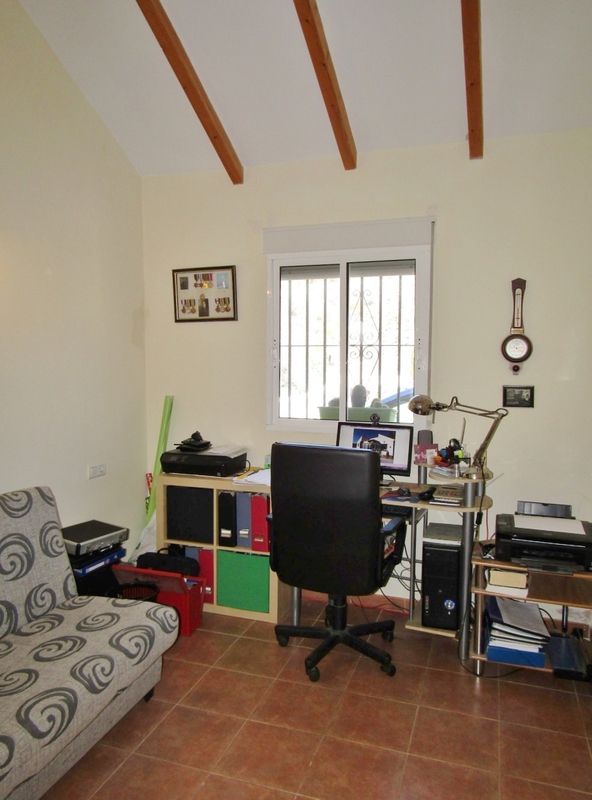 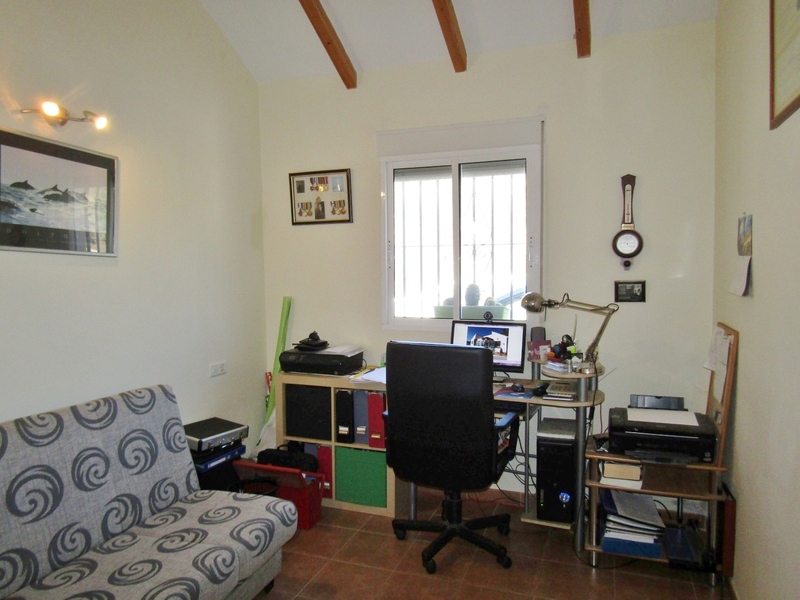 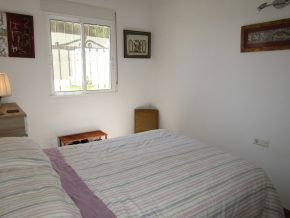 This room is a very good office space, and with a sofabed can be used as a guest bedroom when family or friends come to stay. 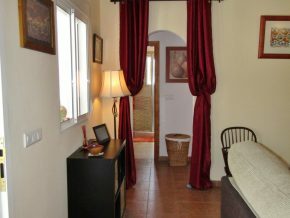 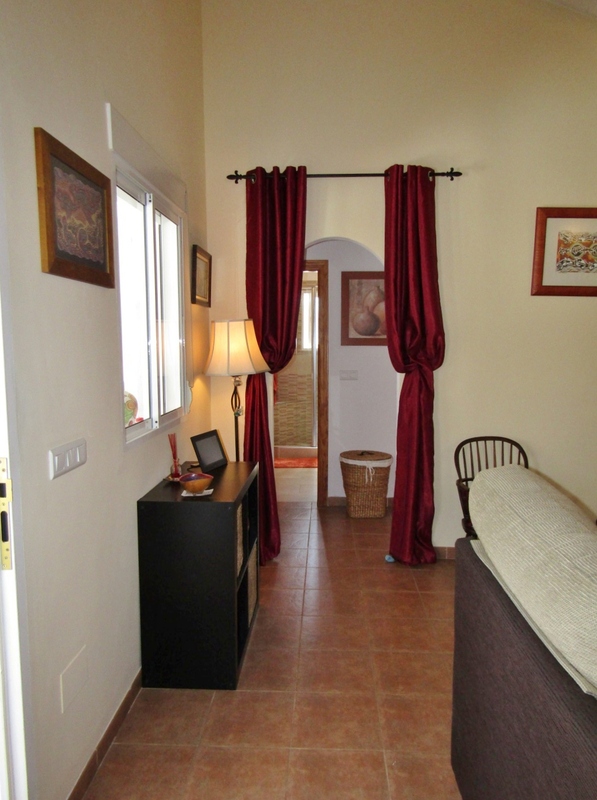 To the left of the living room, an arch leads to a small distribution area, giving access to bedrooms one and two, to left and right, with the bathroom, with large walk-in shower and in-shower seat, and quality tiling, between the two rooms. 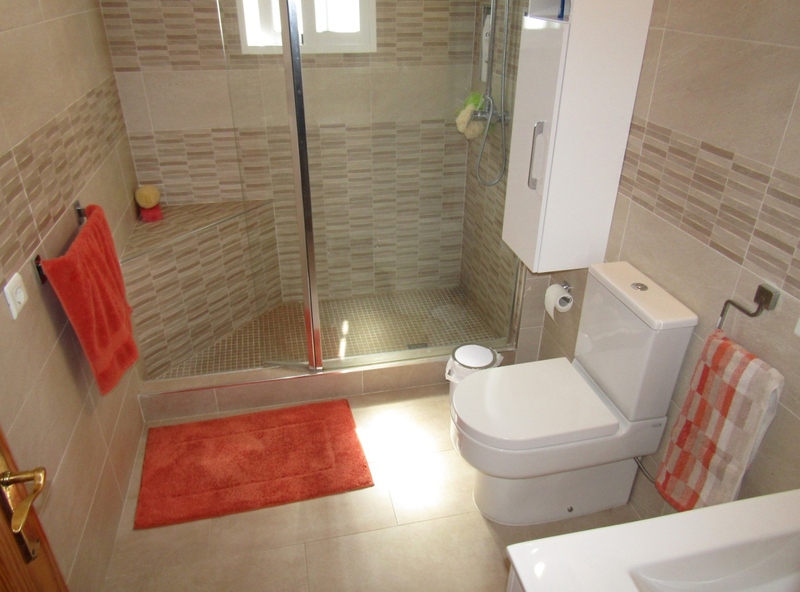 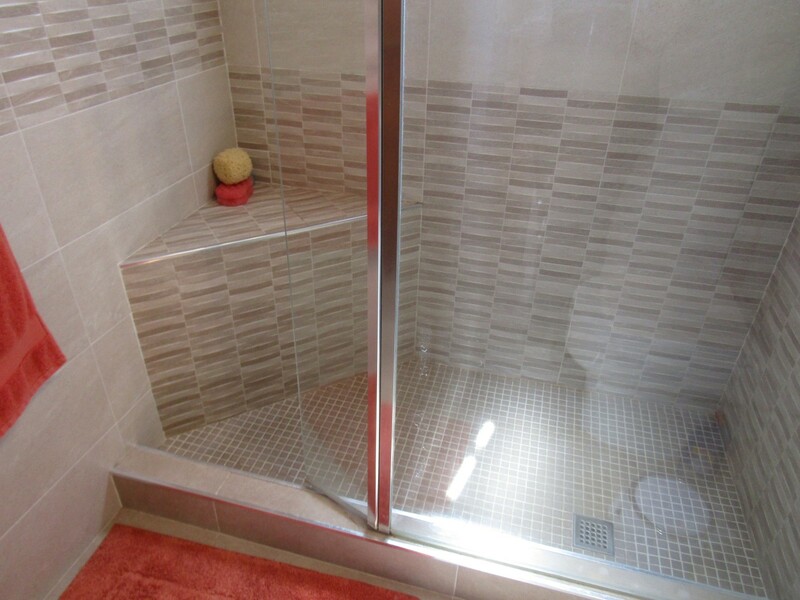 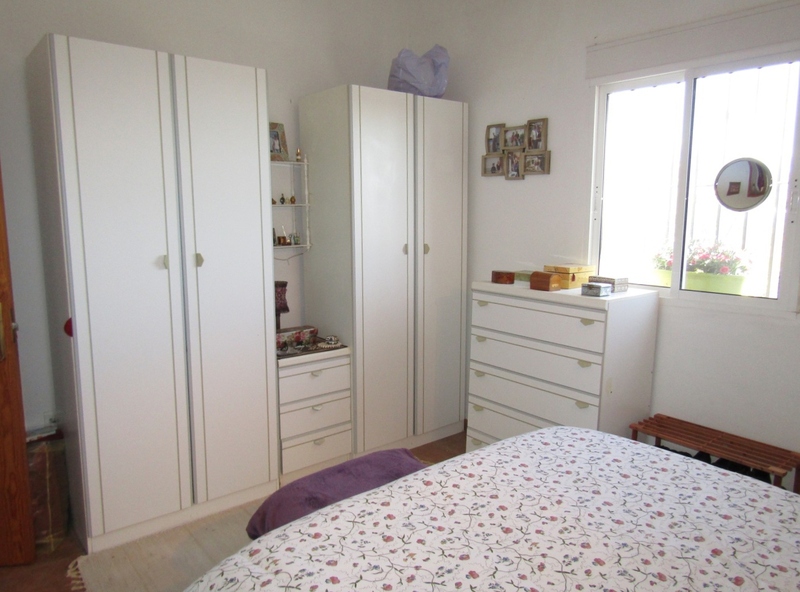 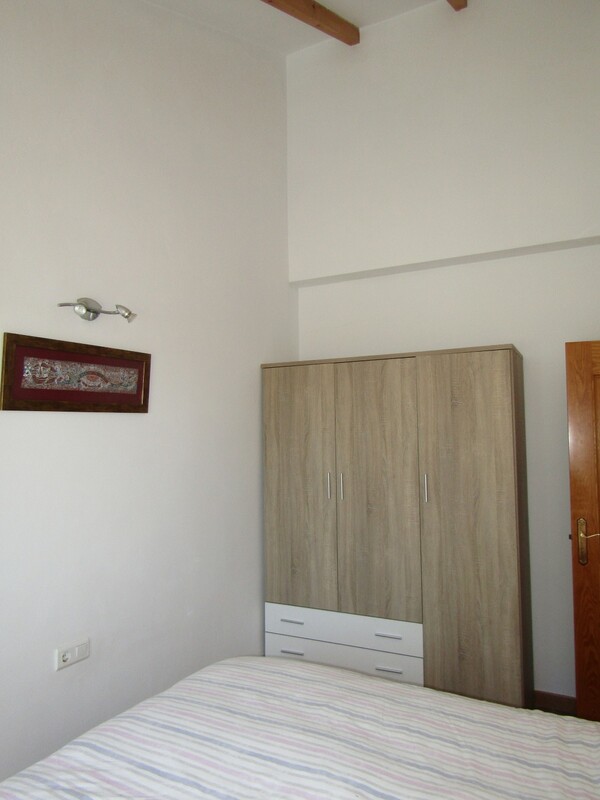 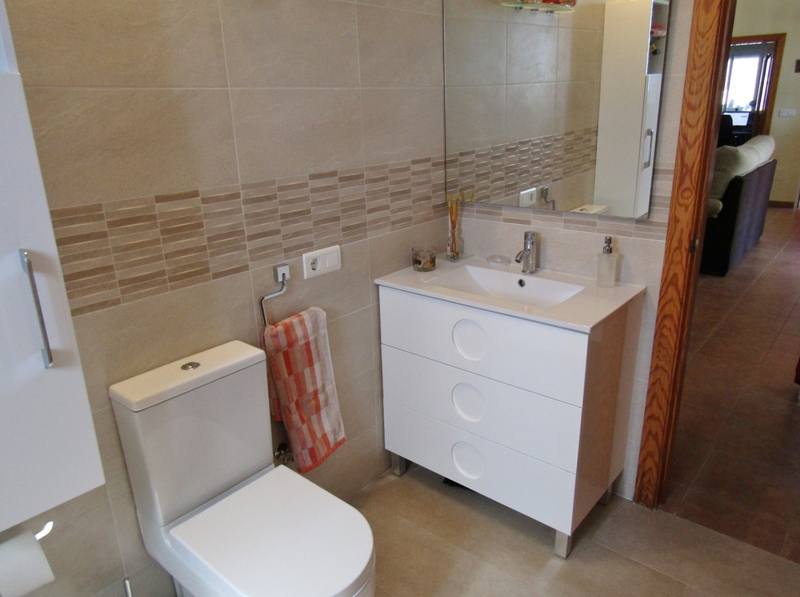 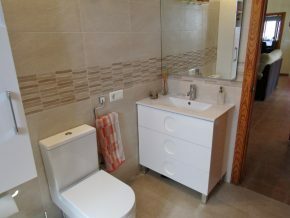 (Room sizes 2.5 x 4m and 3 x 4m, bathroom 1.7 x 2.5m). 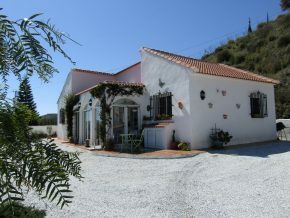 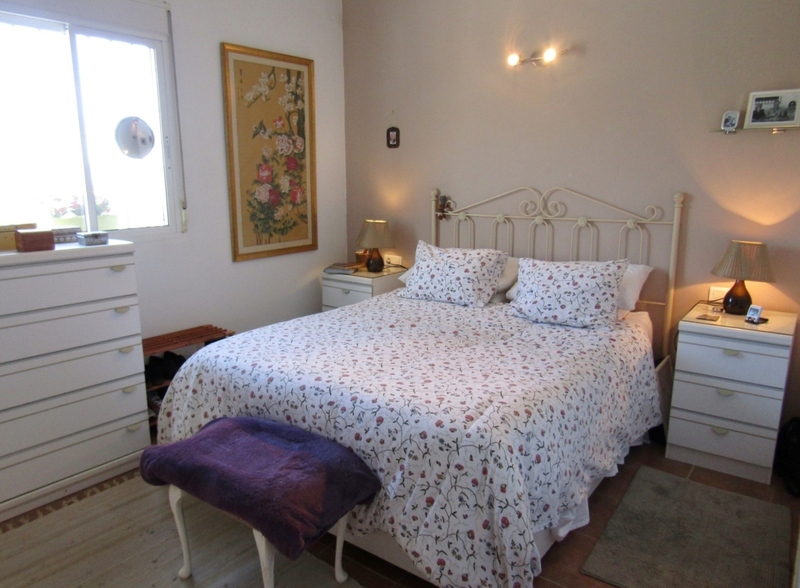 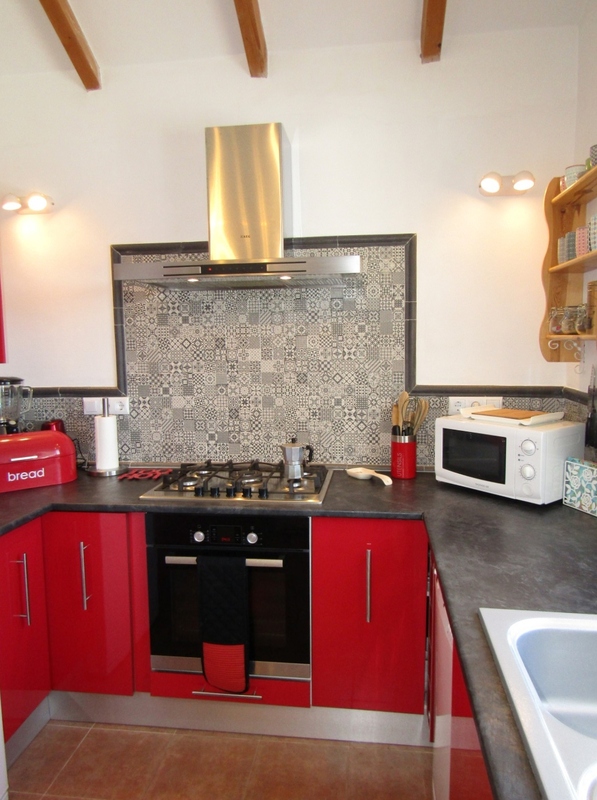 This lovely home is ideal for both permanent living (ideal retirement home in the countryside) or for anyone looking for a family holiday home or house to let to Summer tourists.